The Selangor state secretariat (SUK) told a reporter and a resident today to drape sarongs over their knee-length dresses in order to enter the building, a DAP lawmaker said, just after the Road Transport Department (RTD) sparked public uproar for doing the same to a woman it claimed was inappropriately dressed. Klang MP Charles Santiago said New Straits Times (NST) reporter called Prema Nanthini and a Pandamaran resident named Tan Lee Fong had come to the SUK building in Shah Alam, Selangor, earlier this morning for his press conference, but the security guards barred them entry unless they put on the sarongs. The two women refused to put on the sarong, with the reporter entering the building from a different entrance, while the resident went back to her car, took a scarf to wrap her legs with, and then managed to enter the SUK, according to Santiago. “I think this is ridiculous,” Santiago told Malay Mail Online. “They’re both really upset at what happened. This is harassment. Total harassment. I don’t understand why security guards are imposing moral policing. Where are the instructions coming from? Why’s the government involved in moral policing? This borders on sexual discrimination. If you look at the picture, they’re well-attired,” the Selangor federal lawmaker added. Santiago said he was demanding an explanation from Selangor Mentri Besar Azmin Ali. 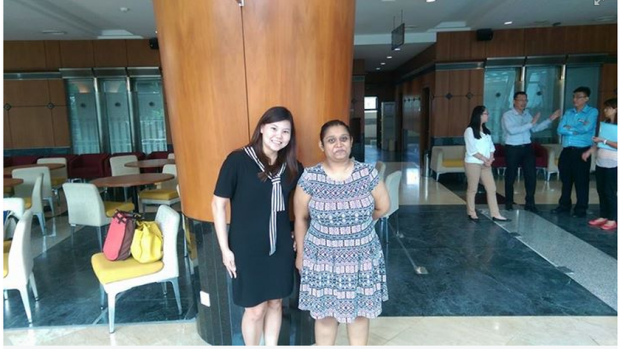 The RTD apologised just two weeks ago on June 9 to a woman who was made to use a sarong over her skirt, which ended just above the knee, to get service at one of the federal government agency’s offices, after her complaint on Facebook went viral.